If you are researching trading and technical analysis you must have heard of the term that trend is your friend when it comes to trading because following it can make you good profits. But no one really shows how and what you can trend for and with and that is exactly what you will get here, everything layed out with plenty of pictures. You can determine it by higher highs and higher lows. When you see a new high or top, whatever it is that is higher then it previously was and even when you have a new bottom that gets higher. You can see that price is going upwards and this is uptrend. We have marked it on the picture so you can easily see it for yourself. It is the opposite of uptrend. You can determine by lower highs and lower lows. When you start seeing that lower lows are forming or maybe some lower highs this means it is going down which represents downtrend. Again, you can see it marked on the picture so you can see how it looks on the chart. We have covered and determine the trend. If you want to trade it, you must know where it goes and therefore you must draw the trend lines which is useful for technical analysis. 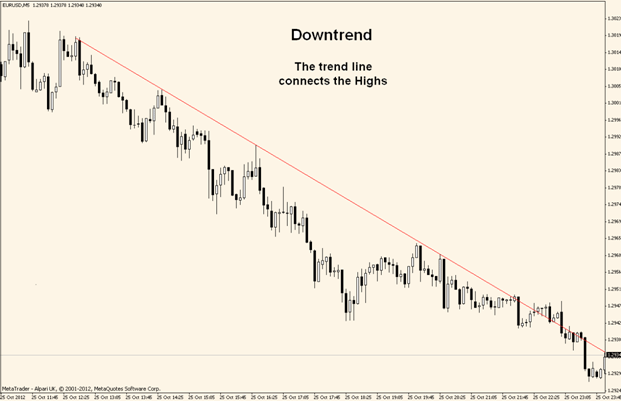 To draw it all you have to do is connect on one side and on another side the line, for uptrend you connect two higher lows and for downtrend you connect two lower highs. 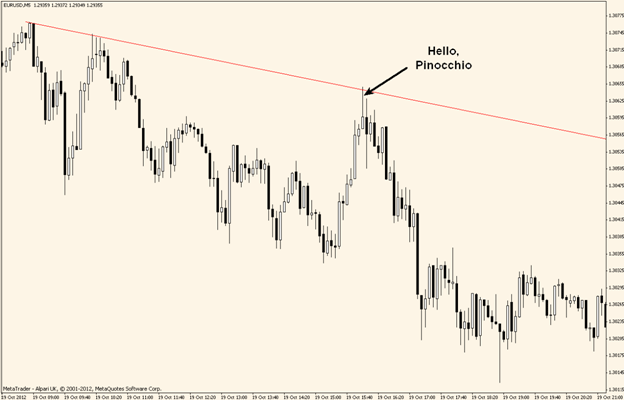 As you can see we have made the line and it is time for trading it. 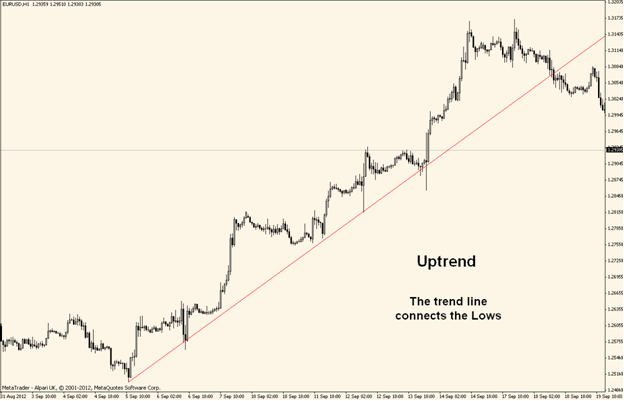 When the next time price touches the line you can trade it depending on the trend direction. For example, if price touches the line in downtrend it means it will most likely go down again that is why we can trade a put on this one. 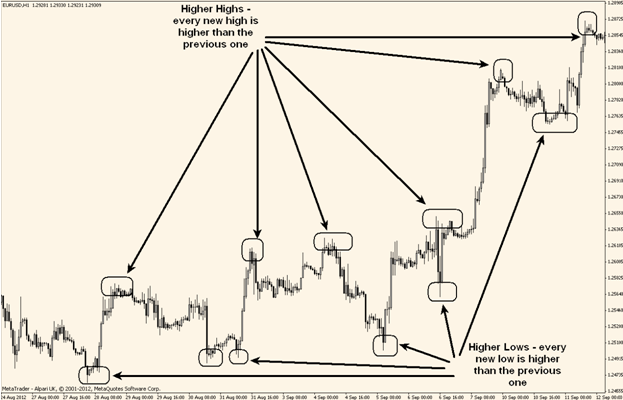 You can see another example here of what it can be done with this trend lining strategy. Price has touched the line and this is appropriate time for making a trade that this will go down most likely. As you can see this is exactly what happened. The pin bar that goes up and then down like this is called Pinocchio since it wants to deceive us, that is where the name came from since if pinocchio lied his nose grew. Here they are used all the same settings but we have also added fibonacci levels just to make it even more sure. As you can see it was again correct. As it is good it can also happen that the price goes through the line like there is nothing and you have to be prepared for such move but that is just how the world moves. Nothing is perfect and that is why you have to had good money management in place so you are able to get away from this and stay in the game. To conclude everything. 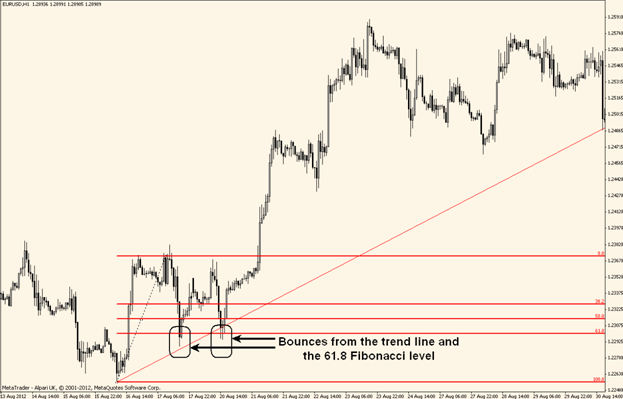 You will higher chance to profit when you take a trade that goes in the trend direction. The picture examples you have seen are there so you can how possible it is to trade for profit. You just need to be disciplined and not give up if trade goes against you. Go with the flow or trend in this case. Hola! I’ve been following your web site for a long time now and finally got the bravery to go ahead and give you a shout out from Lubbock Texas! Just wanted to tell you keep up the good work! Appreciating the commitment you put into your blog and detailed information you provide. It’s good to come across a blog every once in a while that isn’t the same out of date rehashed material. Wonderful read! I’ve saved your site and I’m adding your RSS feeds to my Google account. Copyright © 2019. All Rights Reserved. Binary Options Zone | Flytonic Theme by Flytonic.